Joe Thorne, a SLO hometown runner, won the inaugural SLO Ultra at Wild Cherry Canyon 26.2 Marathon in 3:06:11. 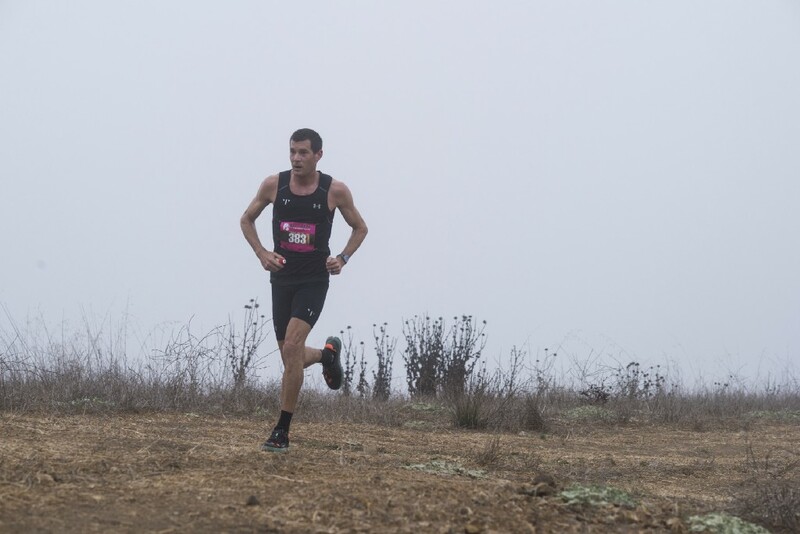 The first-time trail race competitor was also the 2013 SLO Marathon champion as well as the 2014 & 2016 SLO Half Marathon champion. I usually refrain from trail events, keeping the trails for the opportunity to escape from “typical” training on the roads. The competitive element I leave for the roads or on the track. Trails are where I go to have fun and to get lost. To enter into a race on the trails — I didn’t want to do initially but took the encouragement of my wife in earnest and went ahead and hesitantly entered. There seemed quite a level of adventure surrounding the area/course for it was a giant question mark of what to really expect for all whom would be partaking. If you are familiar with or have spent some time in this area on other surrounding trails, you may deduct what to expect. The Central Coast provides a level of natural beauty that is extremely difficult to convey via words and is paired with daunting athletic challenges aplenty. The coastal mountains juxtaposed with the ocean, is a combination to behold — and the SLO ULTRA inaugural event was right in the heart of it all. Why would you not take part? Seeing the profile over the 26 miles — having to climb 5,000 ft is some serious work to address. Physically, I was out there charging on, though “resting” my mind. With all the undulations and not being completely aware of the gradients of the pitches and where those pitches occurred — I had to exude discipline of my mind and emotions — to rest and hold back, ensuring not to over exert too much energy too early on — for you would pay the price if you didn’t. The patience paid off as a steady rhythm was tapped out appropriately over the entire course. The real estate permitted segments to work really hard and other segments to recover. What goes up will come back down and what is going down will go back up — eventually. The canyons didn’t get the name “steep and deep” for nothing. So for this event, keeping a calm mindset and being patient was the name of the game. The conditions of the morning were amazing with the marine layer blowing among the mountainous terrain. An environment such as that, being an endurance athlete, it’s one you dream of. Once out on the course and cresting up to the ridge line — I climbed through the fog to find the sun out, the mountains poking through with the fog hiding the valley floor below. It was an incredible sight to witness. Visit RaceSLO.com for upcoming events and to register today. Established in 2008 to bring world class sporting events to the beautiful California Central Coast, the Race SLO family of annual events currently includes the SLO Marathon + Half and Family Fitness 5K (Spring), SLO GranFondo (Fall) and SLO Ultra at Wild Cherry Canyon (Fall). The Race SLO Team organizes and produces both fun and competitive running and cycling events that create a positive impact on both our participants and local communities.